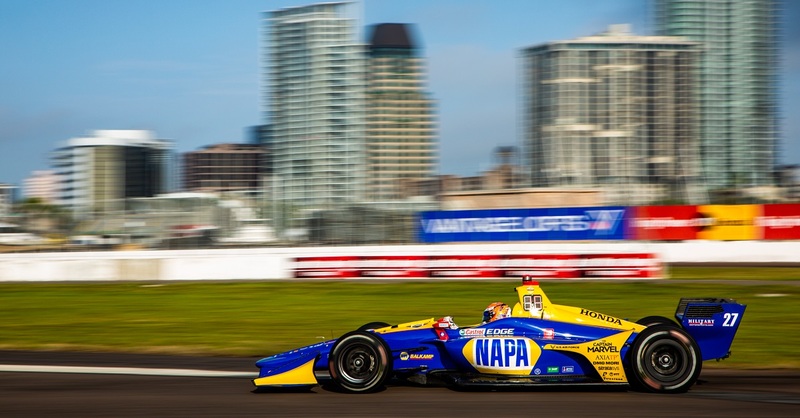 Alexander Rossi took home hardware for both races in Motor City after finishing third in Dual 1 and snagging the pole position for Dual 2. 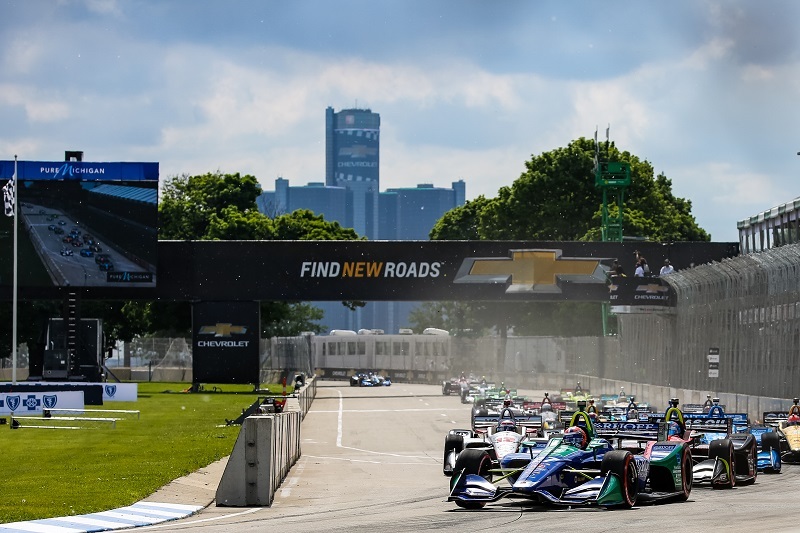 The Detroit Grand Prix holds the only double-header event on the Verizon IndyCar Series schedule and Rossi showed his strength on the street course during both races. In modified, double-header qualifying, Rossi finished second in his group, securing a second-row start. Once Group 2 made their runs, Rossi’s teammate Marco Andretti won the pole position which handed Rossi a fourth-place grid position. 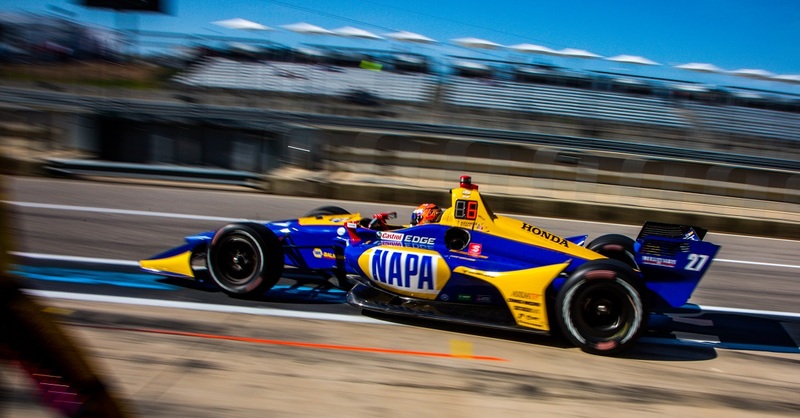 Rossi battled teammates Andretti and Ryan Hunter-Reay throughout the 70-lap event, showing the Andretti Autosport cars were some of the most competitive of the field. After making a late move on the No. 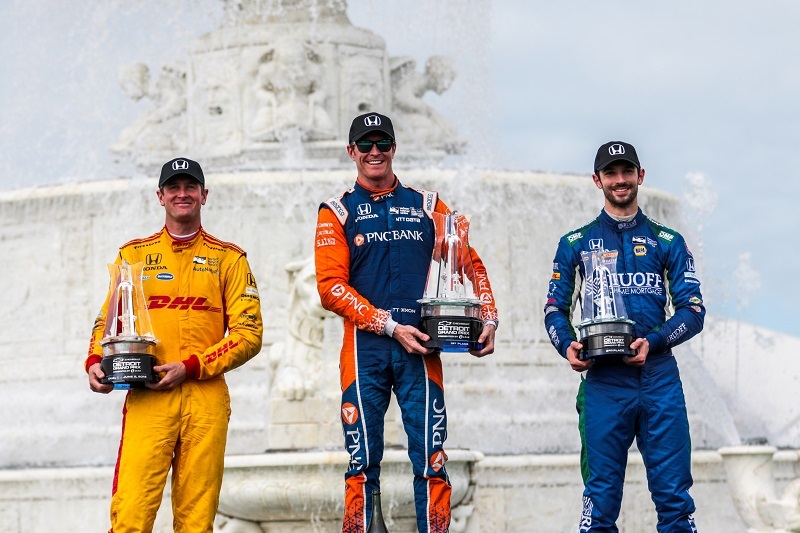 98 car of Andretti, the 2016 Indy 500 winner moved into podium contention where he would grab the final step and solid championship points to take the lead over Will Power. Race 2 qualifying saw wet conditions and the brand-new Firestone rain tires were put to the test. 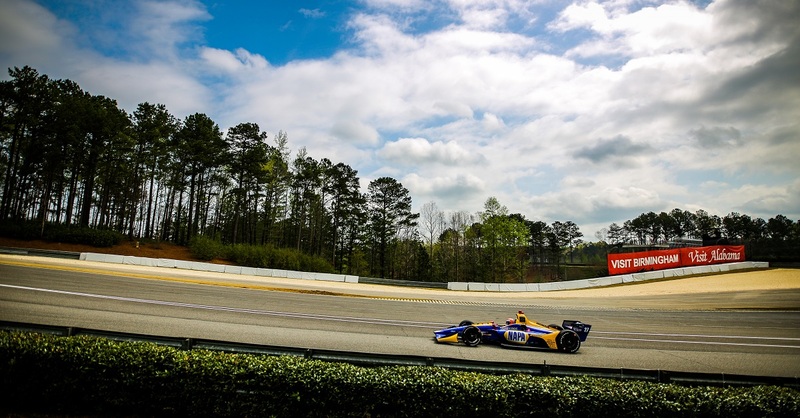 Rossi was easily the quickest car in his group, and an incident involving Josef Newgarden brought out a red flag, expiring the time and delivering Rossi with his second pole position of the season. After starting in clean air, Rossi led a dominating race – only changing leaders when out of pit sequence. 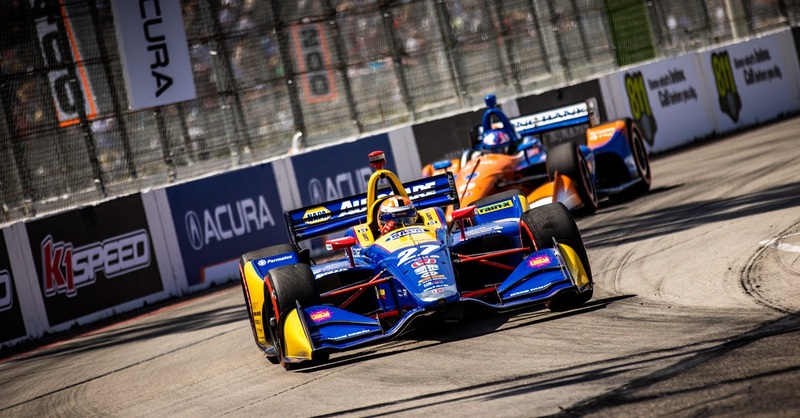 Near the end of the race Rossi’s teammate, Hunter-Reay filled the mirrors of the 26-year-old driver making him fight for position. With sights set on a second victory this season, Rossi knew his teammate had fresher tires and was going to be tough to hold off. The No. 27 Ruoff Home Mortgage machine led 46 of the race’s 70 laps before an issue with the car forced Rossi into the run off. Quickly backing his way out and limping to the pits, Rossi came in for a new set of tires with just six laps remaining. After exiting the pits, Rossi blended into mid-field in 13th position and ultimately crossed the finish line in 12th . 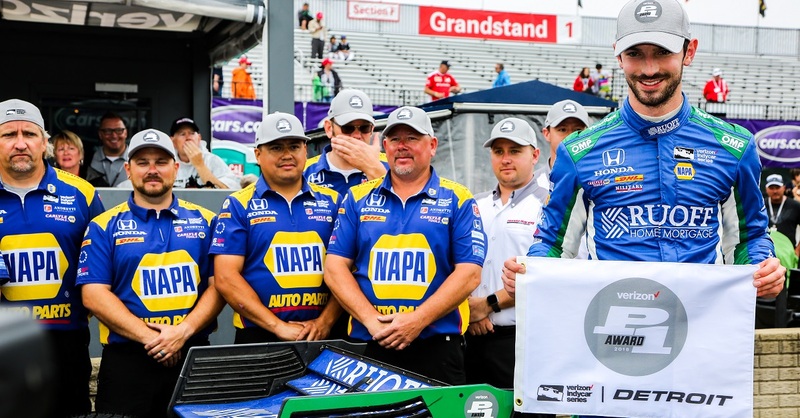 The young American driver slipped to third in the championship but remains only 11 points behind the leader. Race 1: 1st / 276 pts. Race 2: 3rd / 298 pts.